Departed from our Airbnb at 7.20am and started making our way southbound along the West Coast of the South Island. Our goal was to make it to Queenstown before sunset, with quite a number of planned sightseeing stops along the way. After the gloomy weather the day before, I was very happy that the weather cleared up! Oh clear blue skies!! Random photo stop along Whataroa River (thanks iphone for the geo-tagging). We learnt a lesson here...never leave the car doors open even for just a few minutes! We hopped off the car to take some photos leaving the car doors open and returned to a bunch of mosquitoes inside the car...ughh!! We weren't planning on doing anything glacier-related at Franz Josef Glacier as we've done glacier hike in Norway previously, but since it was along the way, we decided to go for a short hike to see the glacier from afar. =P Most people continue hiking closer to the glacier. Stopped at this viewpoint along Haast Pass Highway but instead of a view of the Tasman sea, all we saw was mist...lol! Next stop along Haast Pass Highway was Thunder Creek Falls, just short walk from the parking area. We planned on stopping by Blue Pools as well but decided to give it a pass when we saw that it's going to be a 30 min round trip walk. Another random stop at Boundary Creek Campsite, with direct access to Lake Wanaka. One of my favorite parts of day-2 drive was along the stretch of Lake Wanaka and Lake Hawea. These two lakes are huge and offered plenty of scenic viewpoints. I literally felt like stopping every 5 minutes for photos! That's the best part about renting a car, we stop as we like. =) Side note: The roads in New Zealand are very clearly marked and there are signs everywhere, including photo stops. This area is call The Neck, overlooking Lake Hawea. From here, we drove along Lake Hawea for the next 20kms. Made it to 'That Wanaka Tree' (what a 'creative' name) at 3.30pm...one of the most famous trees in New Zealand. If you noticed in our selfie, a stupid guy decided to 'walk' closer to the tree, and ruin everyone's photos...head shake. Another random scenic stop...Roaring Meg along Crown Range Road. Next stop was Kawarau Bungy Center...to watch people bungee jump from the Kawarau Gorge Suspension Bridge. Apparently this bridge is renowned for being the birthplace of commercial bungee jumping. 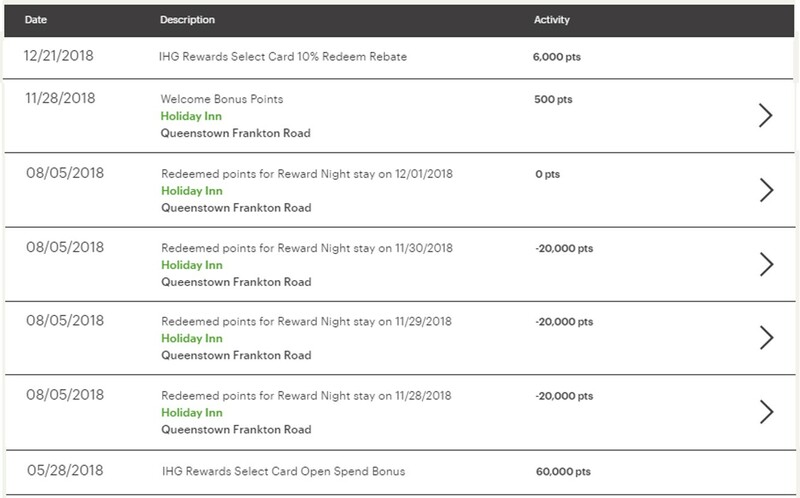 In case you're curious on how much it costs to bungee jump here, it's NZD 205 ($134) per person. Thanks but no thanks. Since it was still early (5pm), we decided to stop by Arrowtown for dinner at The Fork and Tap and sightseeing before checking in to our hotel in Queenstown. The small town of Arrowtown lets you step back in time to the early New Zealand gold rush era. The buildings reminded me of Old Western buildings in the US. 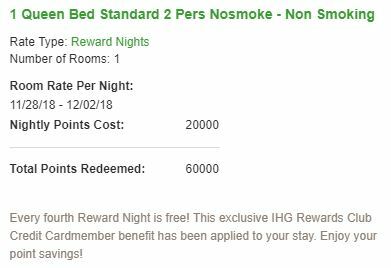 Utilized the 4th night free perk for the IHG Premier Credit Card to book 4 nights for a total of 60,000 IHG points...pretty sweet deal! Update: The nightly points cost for this hotel increased to 25,000/night starting March 2019. That's all for day 2 of our road trip in New Zealand. Stay tuned for the next post! As a token of appreciation for scrolling through this long post, here's our map and itinerary to help you plan for your New Zealand adventure! Click on the top right 'square' to open in Google Maps.